The numbers are displayed after the closing bell of the Dow Industrial Average at the New York Stock Exchange on October 10, 2018 in New York. The Dow Jones dropped nearly 800 points on Tuesday, or about 3.1 percent. 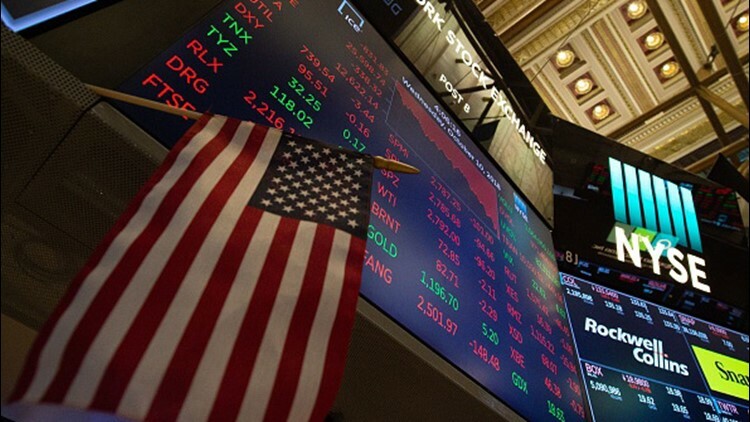 NEW YORK (AP) — Stocks took a nosedive on Wall Street as investors worried that a U.S.-China trade truce reached over the weekend wasn't all it was cracked up to be.